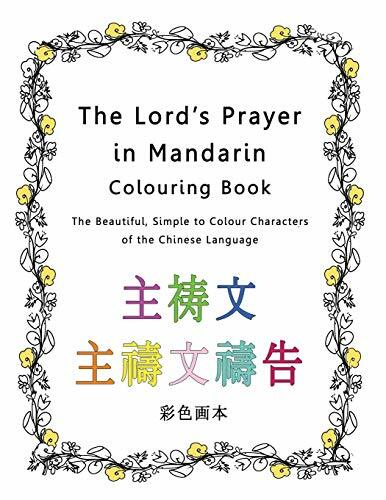 Colour in one character or one phrase per day and feel yourself restored, knowing that the beautiful characters you are colouring are the time-honoured Lord's Prayer given to us by Jesus Christ himself. It is an honour to experience this unchangingly powerful prayer in such a visually intricate and beautiful language. Includes bonus page at the end with prayer in Chinese, Chinese pronunciation and English translation. Product Information: 8.5x11 perfect bound, glossy cover finish, 70 lbs quality interior paper for marker, crayon and color pencil use.